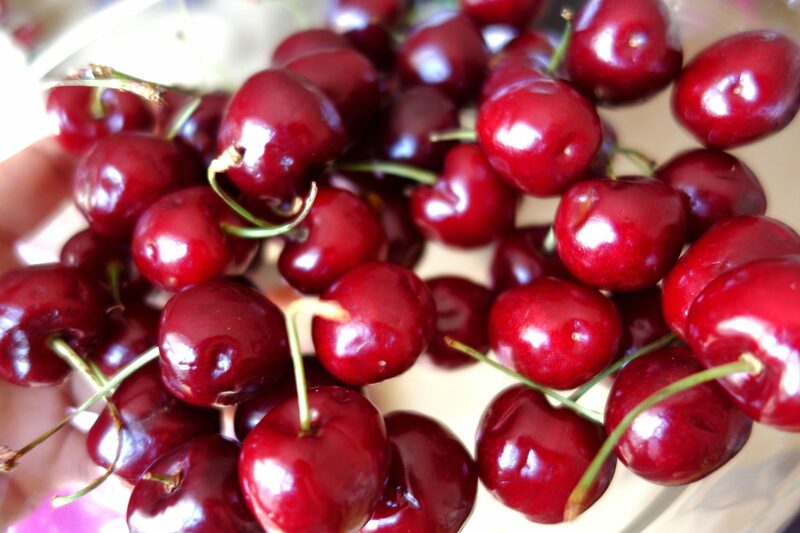 Last week my local market had these ripe red beautiful fresh cherries. I could not resist and picked up around 1 kgs of cherries. We ate quite a few that evening, but I still had some qty left. 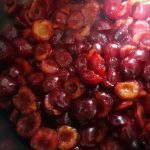 I started looking for recipes, to put my fresh cherries to some good use, and found a lot of recipes using cherry ,and ways to make cherry preserves and jams. 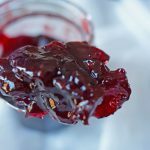 To make a good use of my cherries, I decided to make cherry Jam. That way I will be able to preserve these cherries, and would have home made cherry jam to use on toasts, cakes and puddings. 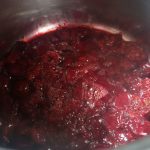 So,making cherry jam was not a difficult task, and did not take much time either. 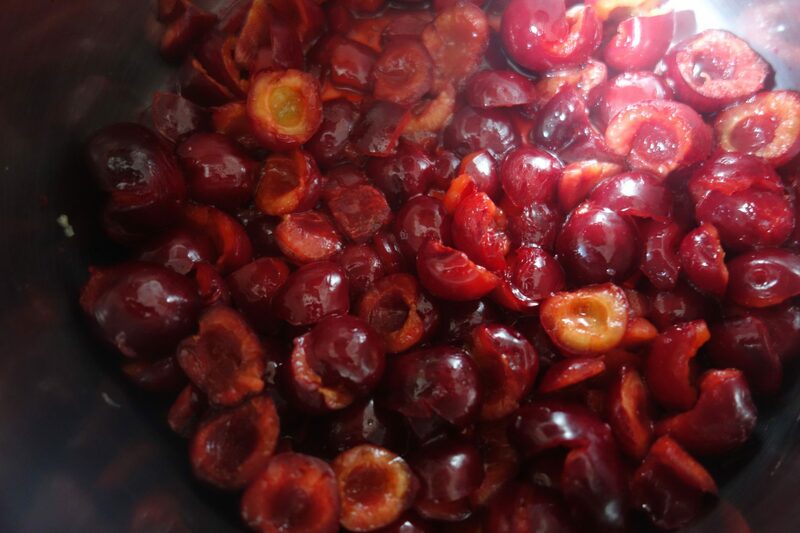 The only thing that was time consuming was pitting cherries.Yes I was using almost 400gms cherries for my jam (which is not a very big qty), but still it took me a good 15-20 minutes to just pit the cherries. I did not have a cherry pitter:(. I actually had it earlier, but it broke last month, and I did not bother to get a new one, as I didn’t feel the need for it. And now when I started making the jam, I realised how helpful a cherry pitter is is. So you can get yours from Amazon. 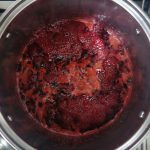 Only use seasonal, and fresh fruit to make your jams.Little unripe fruit will make, better jam than very sweet, over ripe fruit. Make sure to sterilise your jars, before starting , to get rid of any bacteria. To sterilise jars, unscrew the lids, and cover /immerse them with boiling water in a large pan or sink, for 10 minutes.Or keep the jars, and lids in a baking tray in the oven @100°c/225°F for about 20minutes. Always use a large and wide pan to make Jams. 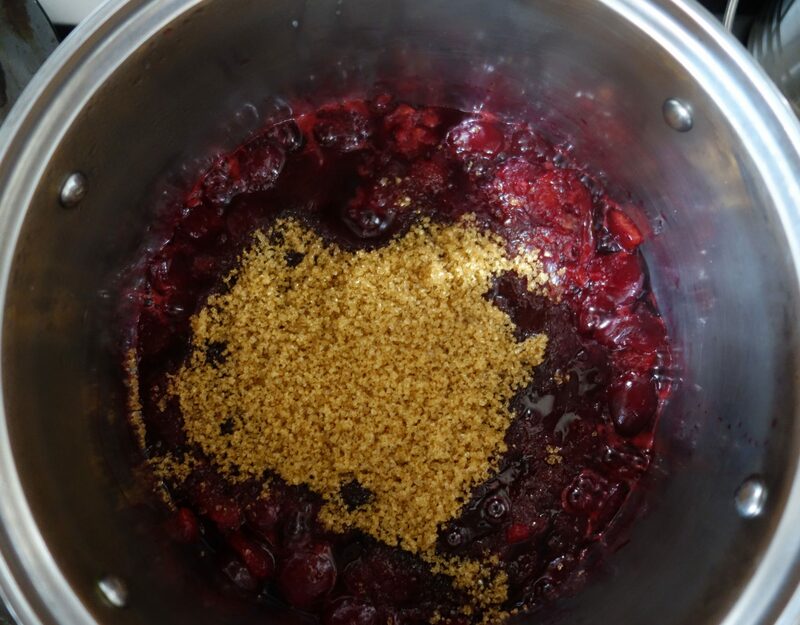 Use a potato masher or fork, to mush the sugar, fruit and any added flavours together into a lumpy pulp. 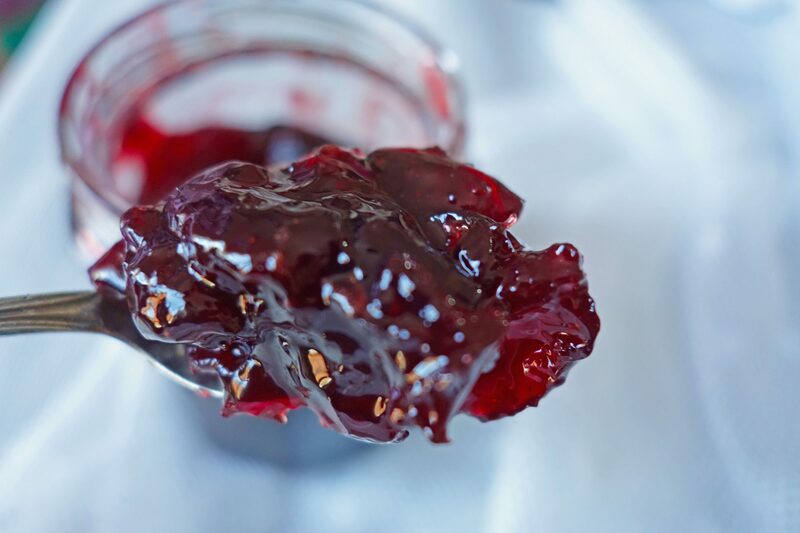 The fewer lumps, the smoother your jam will be. Place your pan onto a medium to high heat and leave to simmer for approximately 5 minutes. Don’t be tempted to stir too much, it will reduce the temperature. 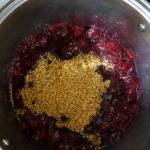 For the cherry Jam, pit the cherries, add a little lemon juice, add sugar, and a little cinnamon powder.Instead of cinnamon powder, you can also add a cinnamon stick . 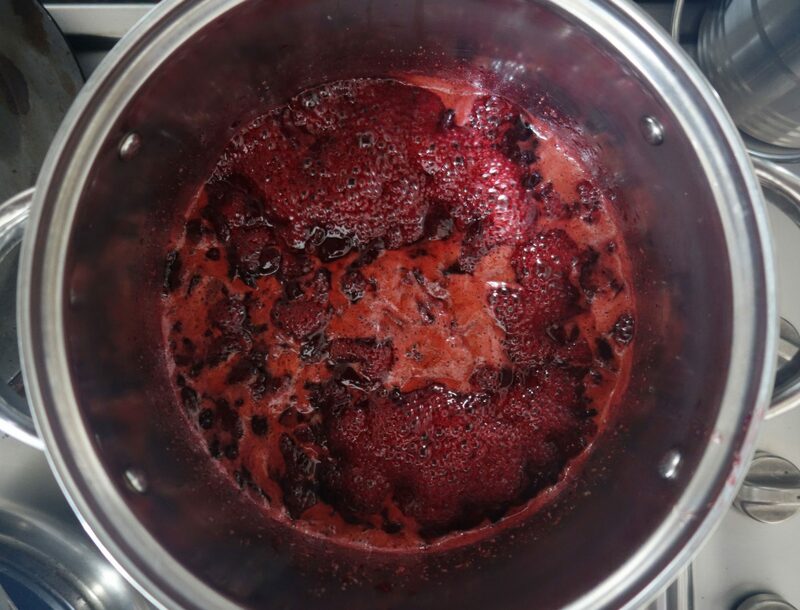 Let it simmer over low heat, till the jam reduces. 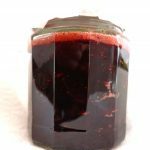 You can get creative with your jams , and add variety of herbs, or spices to pep up your fruit flavours.I added a little cinnamon powder in this jam, and it really enhances the flavour . 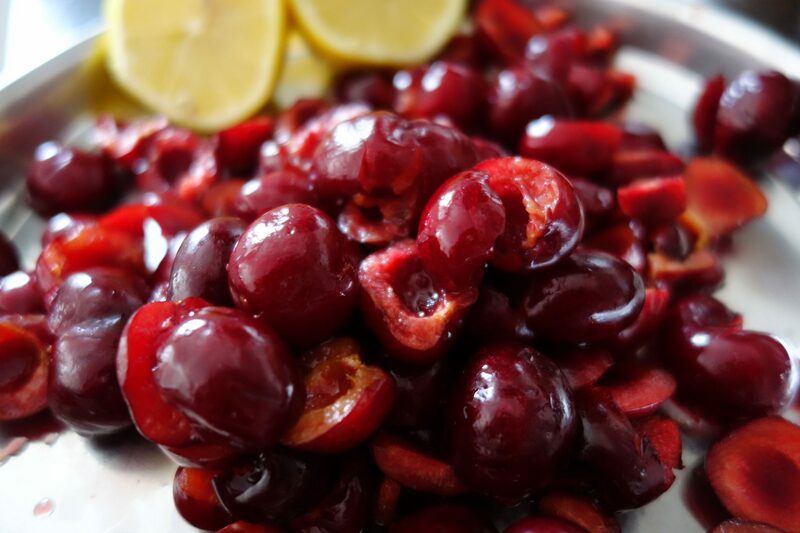 Once you clean and pit the cherries, put it in a wide bottomed thick pan on slow heat, along with lemon juice . Mix it well and let it simmer on slow heat for 5-7 minutes. Using a masher mash the cherries, so that there are not too many lumps. Add sugar, and mix.I used non refined sugar-regular cane sugar, and not pectin sugar. But still my jam texture turned out to be perfect.A great one for the first go!! !Quite surprised I was. The sugar qty can be adjusted as per your taste, mine was just ok. Usually the qty of sugar is half the qty of fruit(consider the sweetness of the fruit as well). I add a little less sugar than half, as I didn’t want the jam to be very sweet. After adding sugar,don’t stir it too much , as that lowers the temperature. 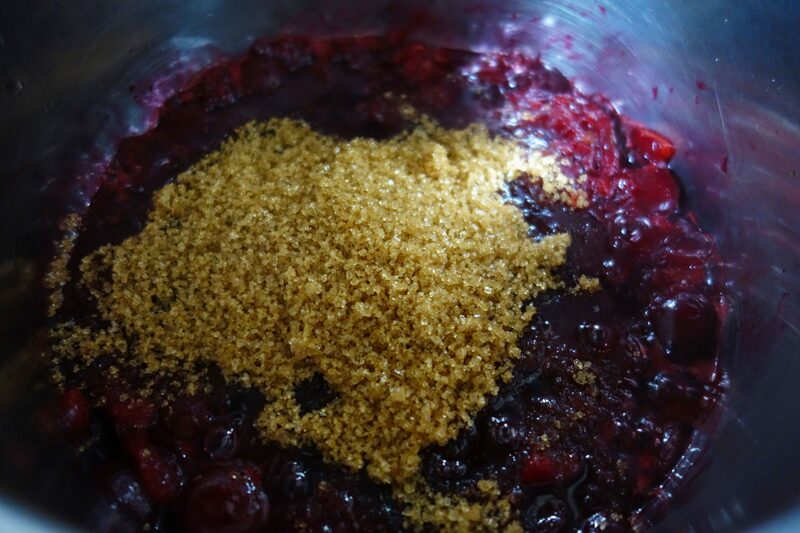 Remove any scum from top, and then add a little cinnamon powder, to add cinnamon flavour to your jam.This is completely optional. 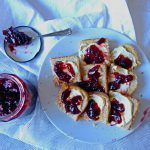 You can simply make the cherry jam without any additional flavour. To check if the jam is done, use the ‘ wrinkle method’. Cool a plate/saucer in the fridge/freezer, and once you’ve boiled the jam for 10-15 minutes, and it has reduced, take a teaspoonful of jam and pour onto the cold plate. Gently push the jam with your finger and if the jam wrinkles slightly, it will set when cool. If it doesn’t, leave on the heat for a few more minutes and repeat the ‘wrinkle method’. 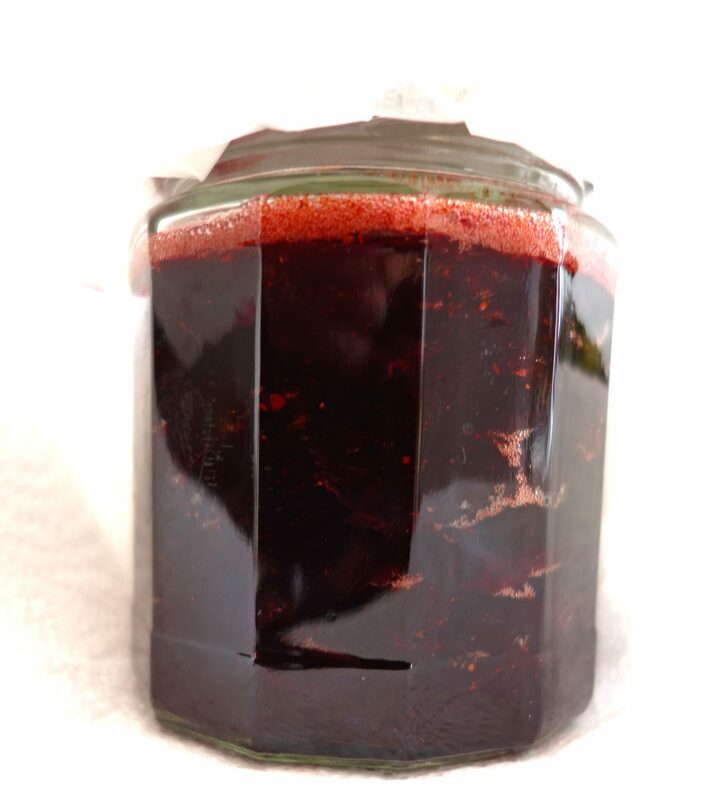 Turn off the heat and remove any scum/foam from the top of the jam and throw away. Fill the hot jam, in your hot jars .Fill it till the top.Wax paper need not be used if you have sterilised the jars properly, however I did use one. Fill the jar till top. Cover it with wax paper, and close the lid tightly.Leave to cool in a nice dry place. 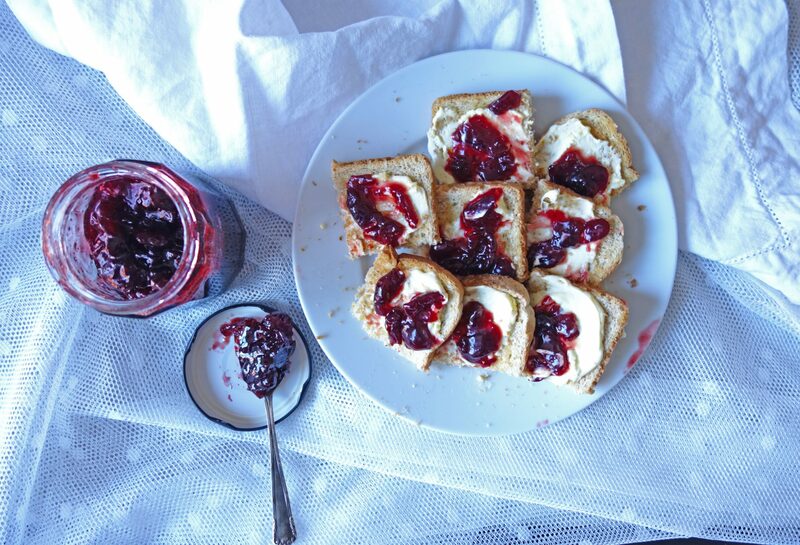 A perfect spread on toasts and scones, bursting with flavours of fresh cherry and cinnamon. 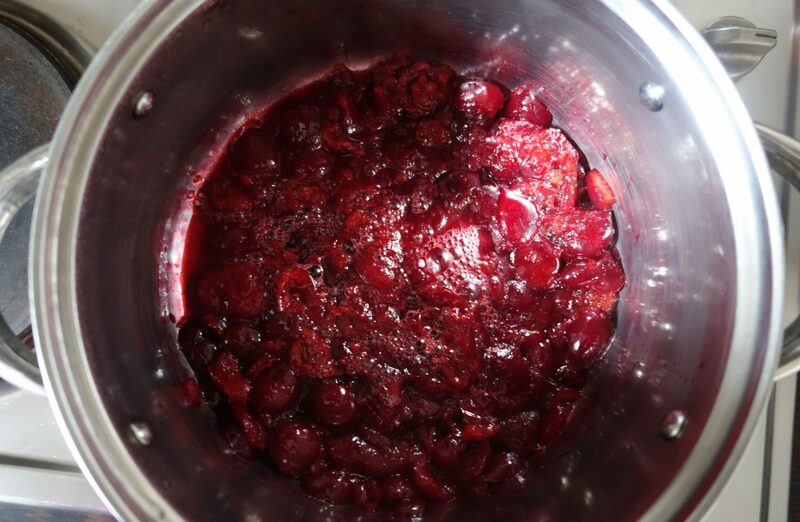 Put the clean, pitted cherries in a wide bottomed thick pan on slow heat, along with lemon juice .Mix it well and let it simmer on slow heat for 5-7 minutes. Add sugar, and mix.After adding sugar, don't stir it too much , as that lowers the temperature. To check if the jam is done, use the ' wrinkle method’, as explained above. Fill the jam in jars .Fill it till the top. Cover it with wax paper(thats optional if you have sterilised the jars properly), and close the lid tightly.Leave it in a cool dry place.